The Gulf of Mexico covers approximately 600,000 square miles and is the ninth largest body of water in the world. Coastal wetlands in the Gulf encompass over five million acres (about half of the U.S. total) and serve as important habitat for numerous fish and wildlife species. Gulf fisheries are some of the most productive in the world. It is home to 141 federally protected species (102 are endangered) including fish, birds, turtles, alligators, coral and plants. Figure 1. 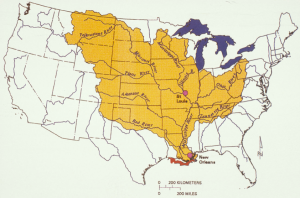 Mississippi and Atchafalaya River Basin (MARB) in the USA and the general location of the hypoxic zone in the Gulf of Mexico – to the southwest of New Orleans. The Mississippi River accounts for nearly two-thirds of the freshwater flows to the Gulf of Mexico. The Mississippi-Missouri River is the fourth longest in the world (3,710 miles or 5,970 km) draining the third largest river basin in the world (1.2 million mi2 or 3.1 million km2) (Figure 1). More than 72 million people live in the Mississippi River Basin. It is the migration corridor for 60 percent of North America’s bird species and supports 25 percent of its fish species. The river provides water to more than 50 cities and 18 million people. Annually, the United States grows more than one-third of the corn and soybeans in the World and much of this production is in the Mississippi River Basin (USDA-National Agricultural Statistics Service). Large amounts of wheat, cotton and rice are grown in the Basin and it contains extensive cattle and hog operations. More than 70% of the nitrogen and phosphorus delivered to the Gulf of Mexico is associated with agricultural activities (Alexander et al., 2008). It is estimated that prior to 1980 10.4 million hectares of the 18.1 million hectares of wetlands in the Mississippi River Basin were drained primarily to support crop production (Hey and Philippi, 1995). From 1980 to 2005, nitrogen loadings ranged from 0.8 million to 2.2 million metric tons per year. Over the same period, values of phosphorus loadings were between 0.08 million and 0.18 million metric tons per year (Aulenbach et al., 2007). Nitrate load in the Mississippi River increased about threefold from the 1950s to the mid-1990s (Goolsby and Battaglin, 2001). 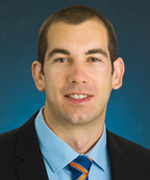 The high nutrient loads, loss of floodplains and wetlands, population growth, anthropogenic changes to the landscape, increased combustion of fossil fuel, engineering of the river system, and point sources are the primary causes of water quality problems in the Basin, hypoxia in the Gulf, and a decline in the assimilative capacity and resilience of these systems. Since 1985, the size of the hypoxic zone in the Gulf of Mexico has exceeded 3860 mi2 (10,000 km2) in most years and more than 7720 mi2 (20,000 km2) in several years. While only about 30% of the size of the hypoxic zone in the Baltic Sea it is the second largest hypoxic zone in the world. Annual sizes of the hypoxic zone range from areas larger than the State of Delaware to the size of New Jersey. Nutrient impacts on the Gulf of Mexico, The Great Lakes, Chesapeake Bay, and other water resources have resulted in the U.S. Environmental Protection Agency requiring states to establish numeric nutrient standard for rivers and lakes. In 2010, Wisconsin was the first state to set phosphorus standards. SERA-46 is Southern Extension and Research Activities committee number 46. It is one of a group of formal USDA National Institute of Food and Agriculture (NIFA) and land-grant university funded committees designed to promote multi-state, research and extension activities. SERA-46 was created to operationalize a Non-funded Cooperative Agreement between the Mississippi River Gulf of Mexico Watershed Nutrient Task Force (Hypoxia Task Force) and land-grant university Extension and Experiment Stations in the North Central and Southern Regions of the United States (http://www.nccea.org/, http://asred.msstate.edu/, http://ncra.info/, http://saaesd.ncsu.edu/). SERA-46 brings together researchers and extension specialists sharing a common interest an expertise related to the environmental, social, and economic factors that contribute to nutrient loss from agricultural lands, state-level nutrient impairments, and hypoxia in the Gulf of Mexico. All extension and research activity committees are approved by Experiment Station and Extension Directors and NIFA and report to them annually. Promote effective implementation of science-based approaches to nutrient management/conservation that reduces nutrient losses to the environment. Establish and strengthen relationships that can serve the missions of multiple organizations addressing nutrient movement and environmental quality. 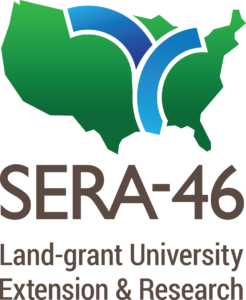 Specifically, SERA-46 is focusing on strengthening relationships among land-grant universities, the Hypoxia Task Force and its member agencies, and agriculture. Expand the knowledge base for discovery of new tools and practices as well as for the continual validation of recommended practices. Improve the coordination and delivering of educational programming and increase the implementation effectiveness of nutrient management strategies that reduce nutrient movement for agricultural and non-agricultural audiences. In May 2015, SERA-46 and the Hypoxia Task Force agreed upon a shared list of priorities for collaboration and these priorities were subsequently updated in September 2017. These shared priorities serve as a basis for projects involving SERA-46 members related to strengthening networks, conservation systems research and outreach, and monitoring and tracking progress toward achieving the goal of reducing the hypoxic zone to 5,000 square kilometers. Example priorities include sharing the latest research on nutrient management and adoption of best practices; identifying common attributes and gaps across state nutrient strategies, highlighting opportunities for cross state information sharing and learning; developing social measures of impact for use in priority watersheds; and strengthening a network of watershed leaders (including those that are farmers) to increase the effectiveness of strategies for reducing nutrient losses from agricultural lands. In January of 2018 SERA-46 representatives participated in a Congressional briefing in Washington, DC in partnership with the Northeast Midwest Institute discussing the collaboration occurring between land-grant universities, state agencies, and federal agencies through the work of SERA-46 faculty with the Hypoxia Task Force and its Coordinating Committee. The committee also described on-the-ground research and Extension activities aimed at reducing nutrient runoff into the Mississippi basin and ultimately Gulf hypoxia.